Well I’m back from the Northwoods. I thought I would start with a finished object post as I have taken about 270ish photos between digital and film and need to sort through those. Most of them were of nesting bald eagles, nesting loons and the occasional muskrat, but there’s a few other things mixed in there. So these socks. I started them back in, oh, November 2007. It happens to the best of us, I know. They were stressing me out sitting in my apartment, unfinished, taunting me, but in the relaxing air of the woods, I finished these up stress free. 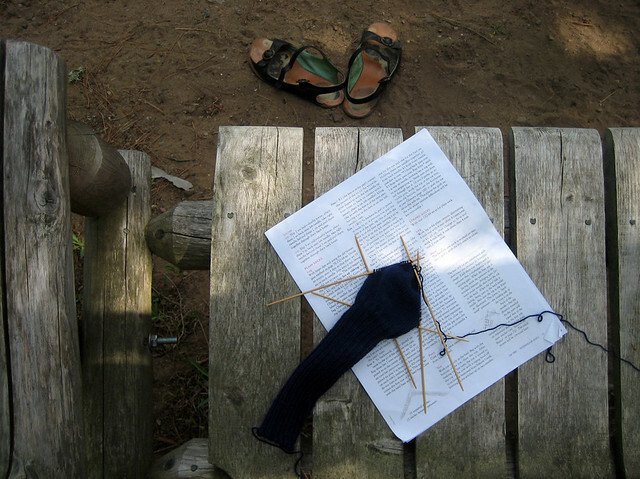 Knitting goes much faster when you’re swinging on a log swing facing the river watching deer wander through the state forest on the opposite bank. The first sock has a few mistakes, mostly due to the fact that I knit it over about 3 years and it turned out a bit large. The second sock turned out great and fits perfectly. I would definitely use this pattern if I ever find myself feeling a bit crazy and needing to knit tiny gauge socks. It’ll probably be a while though. Awesome socks!! 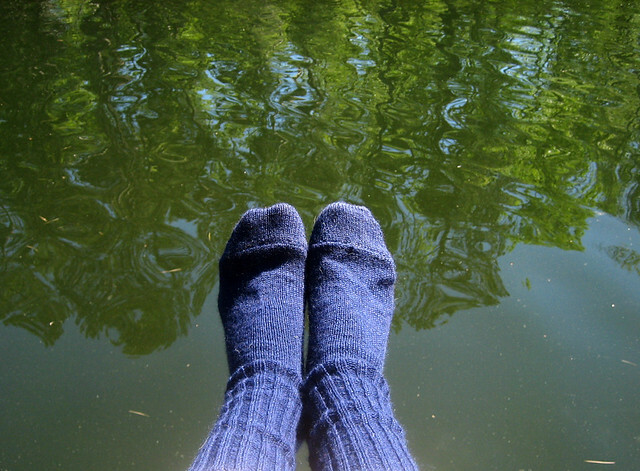 They look like the prefect cottage socks, too. I'm not a huge sock knitter- I'll knit them once in a while, but they always seem to take long to knit than they should! Oh hi there perfectly knit socks! So impressed!